Occidental is a place that challenges, engages and enlivens you. We are a nationally recognized liberal arts college in Los Angeles—one of the world’s most innovative and dynamic cities. As a small campus in a global city, Oxy combines intimate scale with infinite scope. An Oxy education encourages students to explore new places, cultures and ideas, both in and out of the classroom. 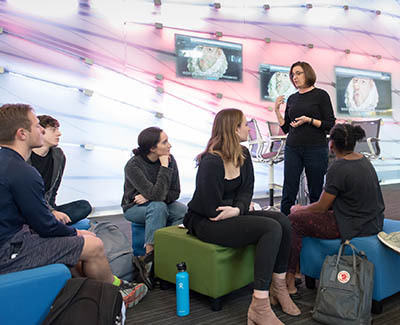 With a wide range of academic disciplines, distinct interdisciplinary programs and an emphasis on research, Oxy cultivates the intellectual, social and practical skills that will allow you to contribute meaningfully to the world. 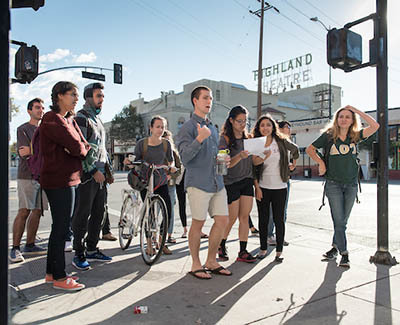 As America’s most culturally diverse city, known for fostering creativity and invention, Los Angeles provides Oxy students with a one-of-a-kind college experience. The city and its surroundings serve as a laboratory for learning and doing. 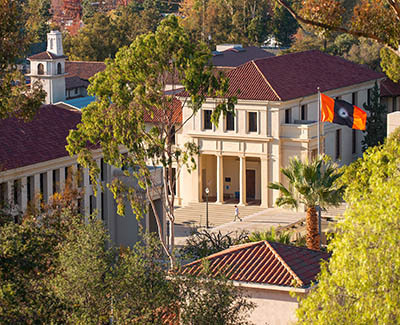 Oxy integrates the liberal arts and sciences with the intellectual resources of a global city. The result is a rigorous academic experience enhanced by a close-knit community of stellar faculty and engaged students. Tucked between the evolving, eclectic neighborhoods of Eagle Rock and Highland Park, Oxy's location allows you to explore L.A. with a residential campus community as your home base. Oxy is committed to meeting 100% of the demonstrated need of the students we admit. Our financial aid staff is dedicated to helping you and your family navigate the financial aid process.